Farmhouse ales or saisons have made a comeback this year with many craft breweries making their version of this beer. 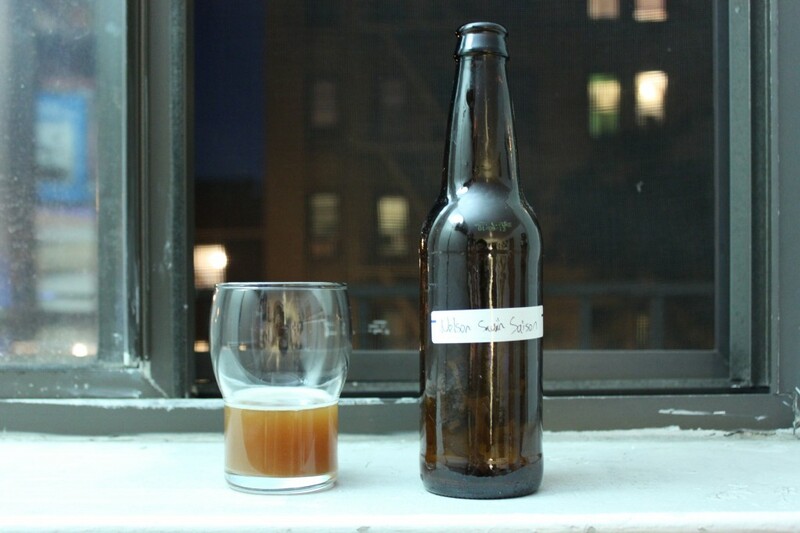 Pale ales are identified with bitterness, and saisons are identified with a fruity spiciness. We brewed this with a common pale ale grain bill, but flavored this with Nelson Sauvin hops. This hops has a fruity profile and an aroma that resembles a white wine. After a month waiting, we gave this a try. Overall – 7/10 We really enjoy this saison as we would a glass of white wine. Strong flavors, and a smooth finish.